Summer has finally fully arrived here in the Pacific Northwest, and along with the sunshine, long days, warm evenings, and blazing afternoons a whole host of summer fun. Here are some of this week’s best summer activities gift ideas for summer classics such as hunting, playing in a band, and swimming. 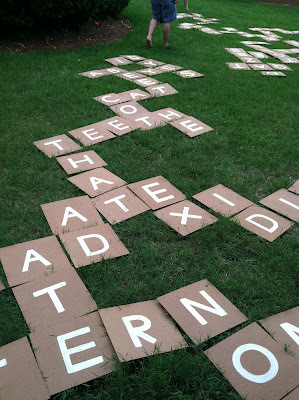 Let’s start things off with a fun do-it-yourself summer yard activity: DIY Giant Yard Scrabble. This is an easy project and loads of fun for an outdoor backyard game. Summer is a great time for hunting, or at least spending time relaxing at your rustic summer vacation getaway. This unique Rustic Wood Fox is a hand-carved, distressed wood art piece ideal for decorating your summer lodge. 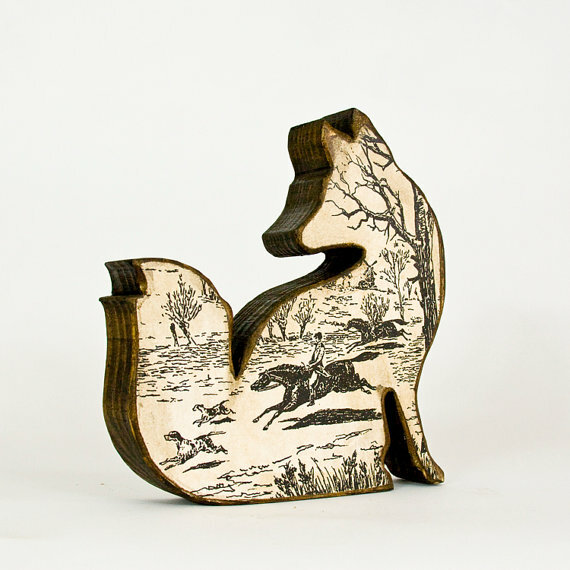 The laser engraved scene depicts and old-fashioned fox hunting excursion, giving it the perfect tinge of antique class. 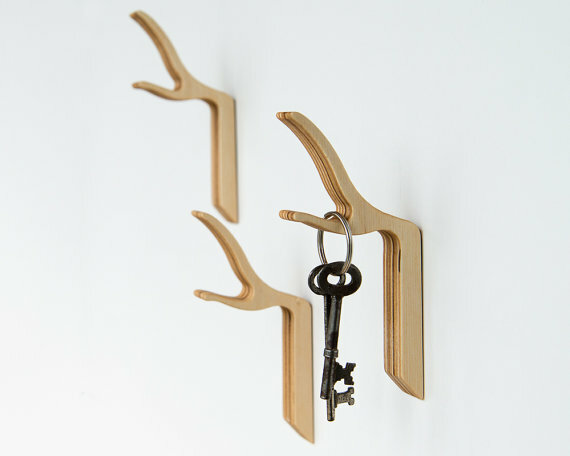 Technically the Twiggy Modern Keyholder Hooks aren’t themed specifically for “hunting”, but they caught my eye and reminded me of deer or elk antlers so here they are for your consideration. Use them at home or in your summer getaway, in any case these Baltic Birch wood keyholder hooks are simple, stylish, and useful. 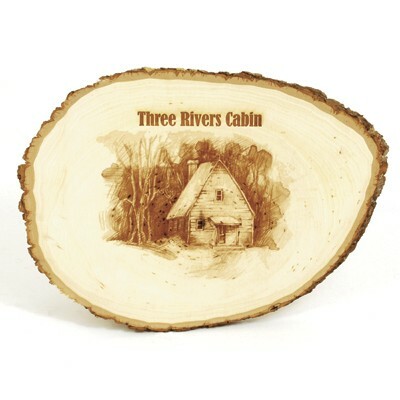 A sturdy round of natural basswood, still rimmed with bark, is laser engraved with anything you like. This woodsy art deco piece is perfect for any hunter, to commemorate a special hunting trip, to honor a retiree, to celebrate a birthday, or to lay claim to a man cave, hunting lodge, or trophy room. Summer is a great time to form a band, catch an outdoor music festival, or brush up on your guitar skills. 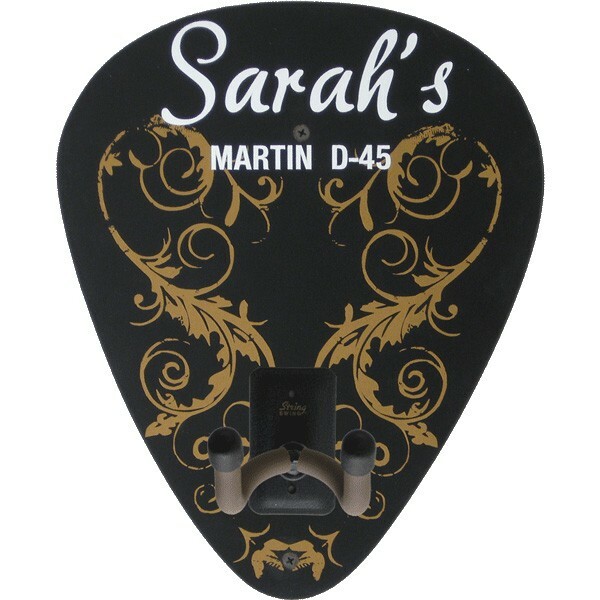 The Personalized Guitar Hanger is shaped like a guitar pick and features your name and instrument model silkscreened across the top, over the elegant scroll art design. The hanger itself is a top-of-the-line String Swing Home & Studio Guitar Keeper, adjustable to fit just about any stringed instrument head. A great gift idea for the budding guitarist or the accomplished musician. The musician meets steampunk with this fun tablet music maker. The iPad Tablet Music Workstation is a clever combination of the old and new schools which is celebrated by the steampunk movement. 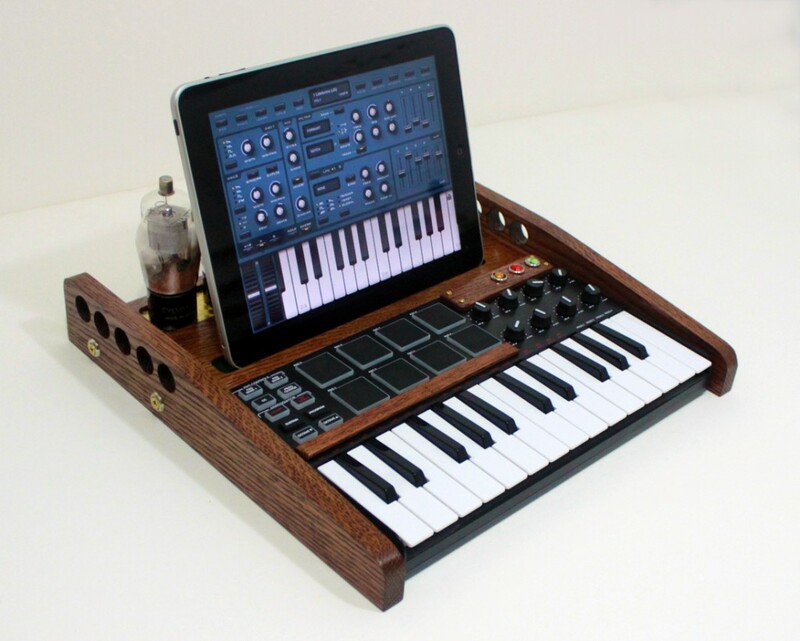 This is a MIDI keyboard with a vintage wood look and features all sorts of buttons and knobs to generate uniquely fun music. Swimming never looked so…. delicious! 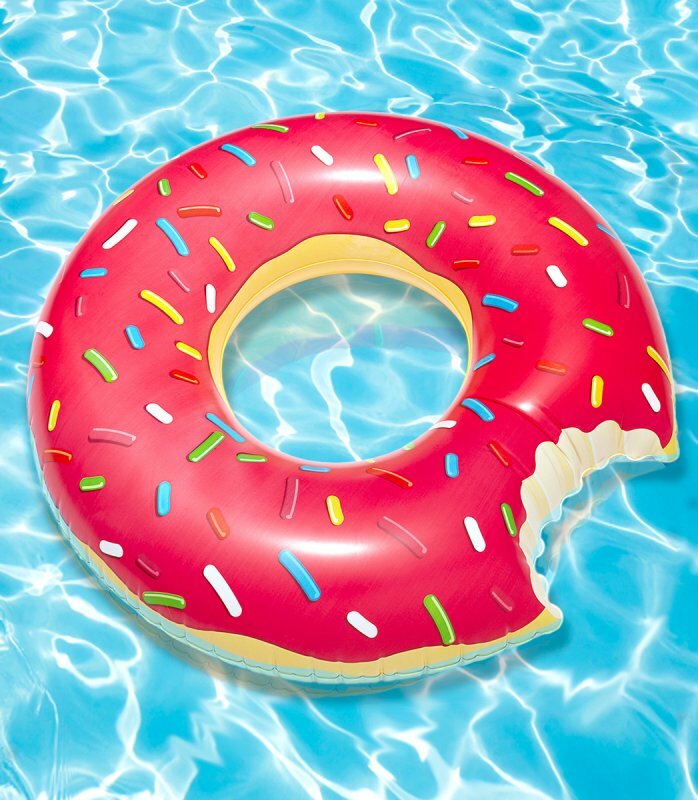 The Giant Donut Pool Float, shaped like a donut with sprinkles sans one giant bite, is a fun summer floatie for spending the heat of the day in a cool pool. Maybe donuts aren’t your thing, or you’re on a summer diet of the sugar-free variety. 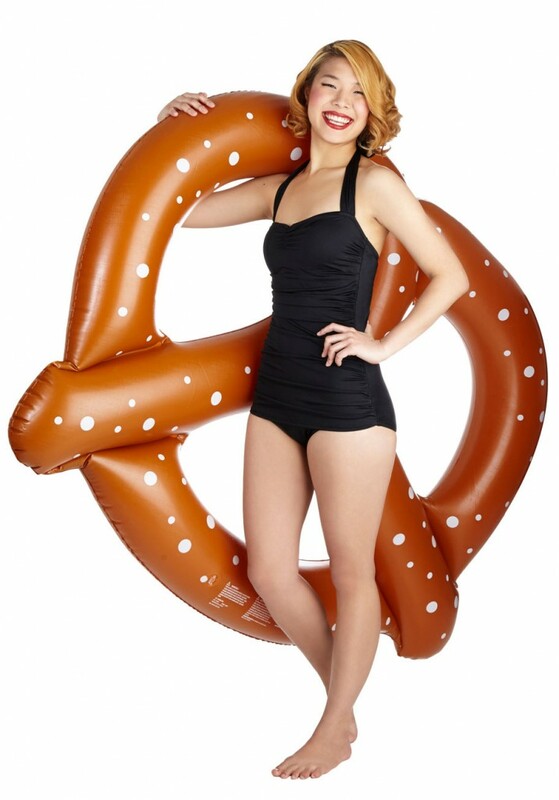 Don’t worry, there’s the Pretzel Pool Float for you! Twisty, salty, bready, and scrumptious. OK, enough with the junk food. Time to excercise! The In-Pool Excercise Glider is the thing for you. According to the product description, “This aquatic exercise apparatus takes advantage of water’s natural buoyancy and resistance to deliver an effective low-impact workout that’s gentle on joints and muscles.” Sounds both healthy and fun!